As we say “Goodbye 2016”, some of our favourite vloggers have already released their 2016 roundups. For many, 2016 has been classed as a bit of a rubbish year. 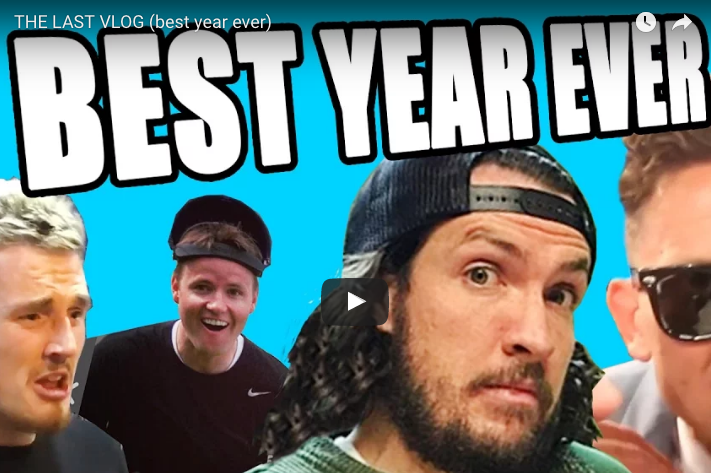 But we can always take reassurance from our favourite vloggers RomanAtwood (10,248,316 subs) and Shonduras (926,112 subs), that 2016 has been an “awesome” & “great out of 10” year and they say “Goodbye 2016” in their own unique way. Each year, most of our favourite creators will publish content showcasing their best moments. These “throwbacks” not only entertain the loyal followers but also introduce a new audience to their content in a unique way, boosting there subscribers for the start of the next year.